NEW! 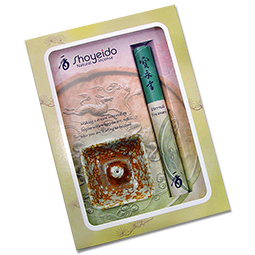 Moss Garden is one of Shoyeido's oldest and best-loved incense recipes. Fine sandalwood, delicate herbs, and fragrant resins are carefully blended to evoke a peaceful mood — like strolling among blooming gardens and lotus-fringed ponds. Now share this soothing fragrance with friends and family as a beautiful gift set! 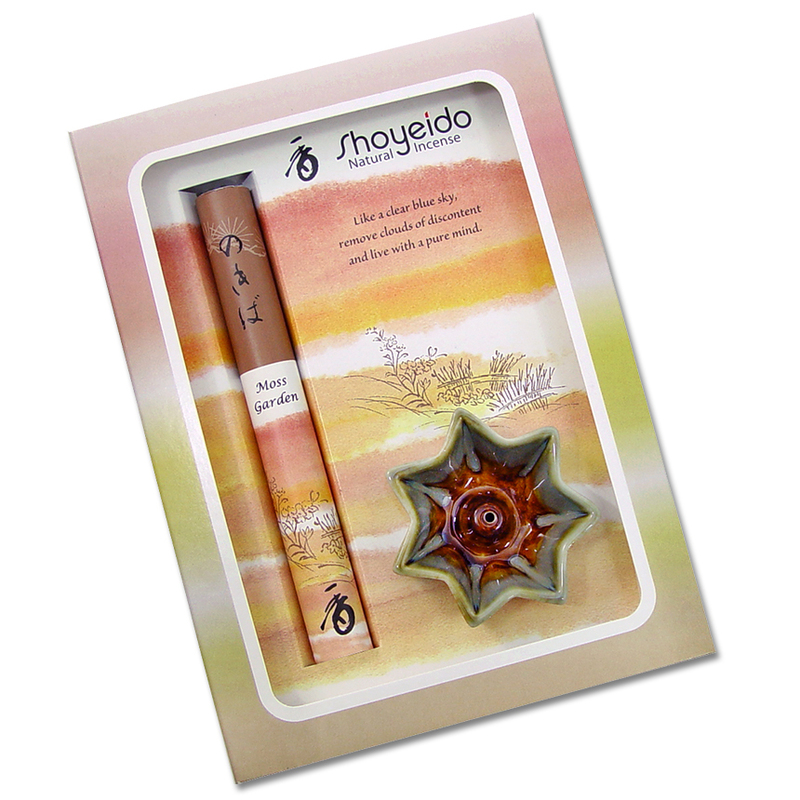 Includes a plentiful 40-stick bundle of Moss Garden and a handcrafted, 4 1/2" lotus flower-shaped ceramic holder. Makes a uniquely memorable gift, appropriate for any occasion.